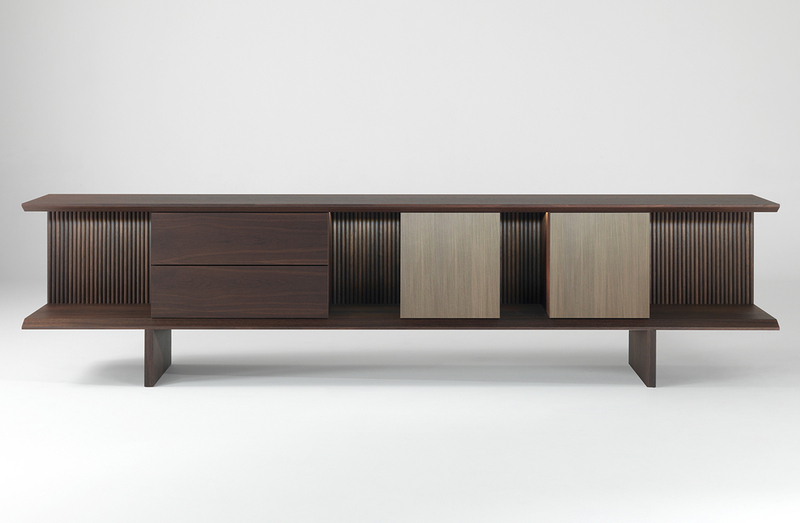 Low sideboard composed of alternating open and closed compartments. Structure in oak or walnut wood and door / drawer fronts in wood to match or brass. Available to order in a choice three sizes and multiple configurations. Structure in: Oak wood in natural, tinted, or open pore lacquer. Thermo-treated oak in light or dark tint. Or walnut wood. Door / drawer fronts in: Wood to match above, or brass in natural satin, dark burnished, or silver-plated finish.